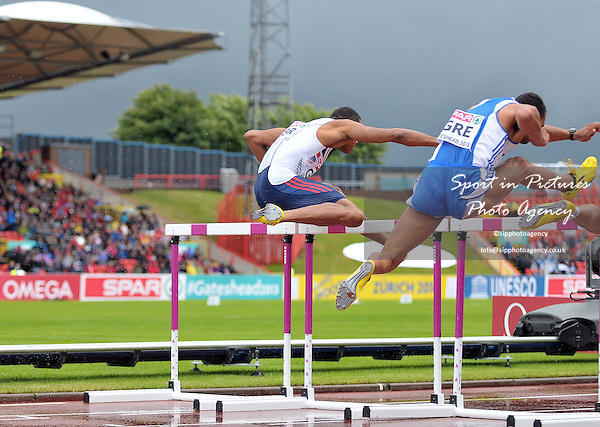 The clouds gather over Gateshead as the mens 110m hurdles carry on. William Sharman (GBR) and Konstadinos Douvalidis (GRE). Day 2. European Team Athletics Championships. Gateshead. Tyne and Wear. UK. 23/06/2013.